How do you let your audience know that you and your protagonist don't see eye-to-eye? A hard pill to swallow, no matter what genre of entertainment you're watching, is the idea that depicting something is not the same as condoning it. There's a really good reason this is hard to swallow: as a writer, it is extremely difficult to draw that line effectively. So while it is absolutely possible for a writer and their main characters to be in disagreement over a topic, it's also very easy to not make that clear. Sometimes that's not a problem. Maybe the main character's held beliefs are trivial to the point that it doesn't matter if the writer is in agreement; or maybe the character's way of thinking is so ludicrously archaic, no one would make the mistake of thinking any modern, decent human would think that way. At other times, there are hazy lines where it could go one way or the other—timely points of contention, for example, or commonly-held beliefs that make real world problems for people. In these cases, presentation is the difference between telling a story and inadvertently condoning a behavior or ideology... for example, the idea that relationships are inherently power struggles. 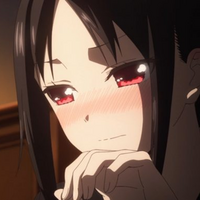 Kaguya-sama: Love Is War is literally built on the concept of achieving and maintaining the upper hand in a relationship. The fact that it's a comedy doesn't immediately clue us in that the idea isn't treated seriously—if anything, it could serve early on to reinforce it. Sitcoms, rom-coms, and stand-up comedy owe a lot to the belief that being in a relationship is a battle between you and your significant other. So merely being funny isn't our cue. Making sure author and audience are on the same page without just coming out and saying so isn't always a matter of heavy-lifting. Kaguya-sama: Love Is War doesn't even necessarily require as much effort as was put in. Even so, it's full of great examples—both for writers and for viewers—of how to tell a story where the characters and storytellers are working in completely opposite directions. 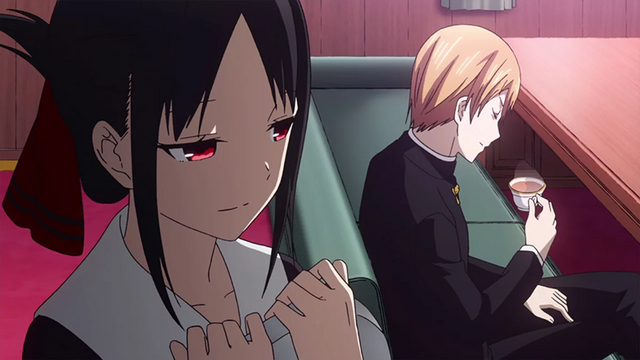 At its most basic, Kaguya-sama: Love is War outlines one very specific, recurring issue in the lives of Kaguya and Miyuki: they both like each other, but neither wants to be the first to say so because they believe that's an indication of weakness. Both put plans into action to trick the other into confessing their feelings, whether it's Miyuki ruling the conversation or Kaguya going out of her way to engineer romantic scenarios. These incidents all end largely the same, though: badly. If there's a "win," it's either by default or in a different sense (Kaguya finally getting an octopus hot dog, for example). More often than not, though, these highly engineered scenarios either blow up completey or fizzle out. By contrast, look at scenarios that happen naturally. Kaguya wants to meet Miyuki "by chance" on the way to school, loses the opportunity, then really does meet him by chance—the pair share a frantic, but ultimately sweet, bike ride to school. Similarly, there's Miyuki being set upon by the razor-tongued Betsy Beltoise, and Kaguya stepping in to defend him in equally colorful French. None of the situations, engineered or otherwise, results in the confession that both characters are so desperate for. However, the random, natural occurrences are shown in a much sweeter, happier light. Plus, to the audience, they're as good as a confession, because it's obvious to anyone outside the pair that they genuinely do like each other. Showing the "battles" as comically bad, and the natural situations as heartwarmingly good, is our biggest cue that the pair's beliefs on the nature of love are inherently skewed. Chika Fujiwara is a gift, and not just because she's an adorable arbiter of chaos. She gives us a third person in the room—someone who's not caught up in Kaguya and Miyuki's mind games, but who knows them well and observes them constantly all the same. 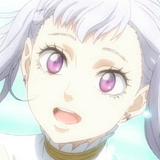 She's notably close with both of them, too; if anyone were to pick up something major between them, it would be Chika. Yet she's oblivious to everything. Here's the thing, though: there's no reason for her not to be oblivious. The majority of the pair's battles take place via internal monologues. Kaguya at one point has an entire falling-out and reconciliation with Chika that Chika herself isn't even aware of. 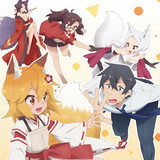 And when she wants to choose where to go on vacation, she completely misses Kaguya and Miyuki's personal qualms about whether the mountain or the beach would be more conducive to extracting a love confession from the other. Chika is our real-world benchmark for how these two behave, and how ridiculous their internalized battle is without context. She's not our only barometer, though. While she serves as a reminder that Kaguya and Miyuki aren't actually accomplishing anything in their "battles," the student body as a whole reminds us that the battles of wits are pointless, anyway. Passing comments point out how obvious it is that, if the pair aren't in a relationship, they really should be—and even if these nameless extras don't know the pair as well as we do, it still serves as a reminder to us from the show itself. Ever notice how Kaguya-sama: Love Is War feels more like a fighting show than romance or slice-of-life? It's because it makes a point of putting those tropes into play heavily. As anime viewers, there are certain things we're used to seeing and hearing in shonen and seinen series. A compelling narrator tops the list, walking us through the strategies of our protagonists as they duke it out. The timing, sound effects, and even camera angles add to the "fighting anime" evocation. 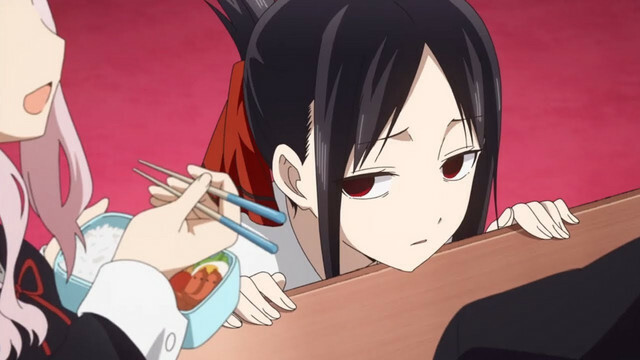 Kaguya and Miyuki descend into the aforementioned time-stopping internal monologues the way other characters might stop to plan a punch or admire a rival's tactics. Jump cuts and tense music ramp up scenes with an energy normal reserved for intense combat... when the most dramatic reveal of the scene is Miyuki's fear of bugs. 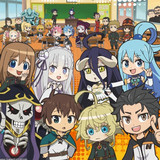 Besides being super fun, the fighting anime style mixed with two rom-com characters who take themselves extremely seriously ensures that none of us will take them seriously. In the end, we're all in on the overarching joke... even if our protagonists aren't. It may not always be necessary for an audience to understand where a writer's loyalties fall when it comes to their characters; and sometimes it's easy to tell simply by subject matter. 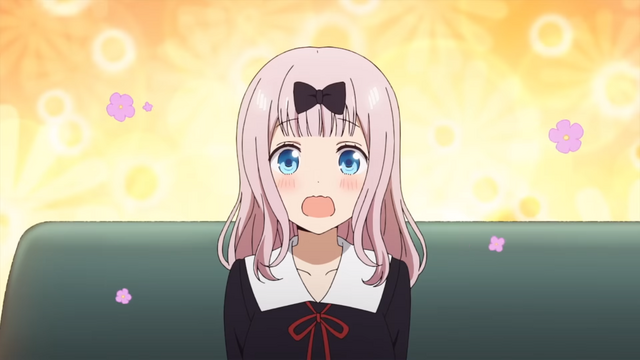 But Kaguya-sama: Love Is War goes the extra mile to take a common aspect of comedy—the idea that being in a relationship equates to being at odds with your partner—and make it clear to us that it's being lampooned. Even if the characters themselves are oblivious to that face. Have you noticed any other ways Kaguya-sama: Love Is War has kept its message strong? 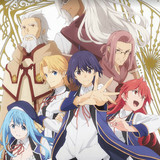 Are there shows you'd recommend to fellow fans that do the same? Let's talk about it in the comments! Join the battle! 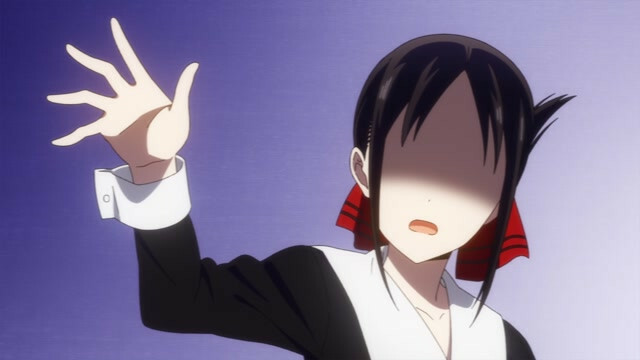 Watch Kaguya-sama: Love Is War on Crunchyroll!